Christiana & Mitch's wedding invitations are another example of a couple that separately purchased pocketfolds and used custom sized Blush Paperie invitations. 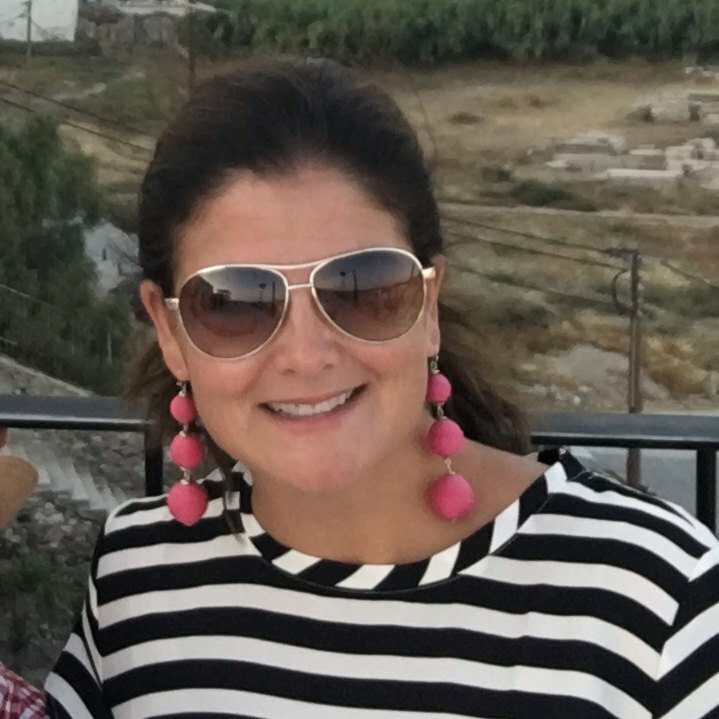 The rsvp, accommodations, rehearsal dinner, and Breakfast are layered for the pocket. Christiana & Mitch chose the white shimmer linen card stock, which you can see the detail of in this photo. 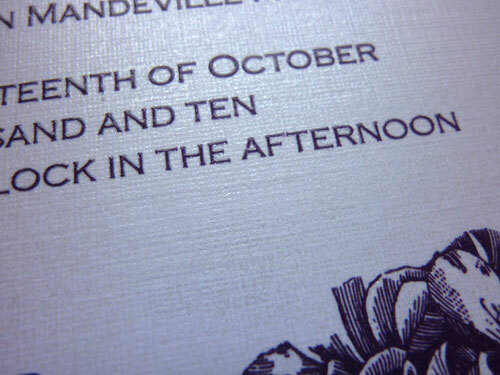 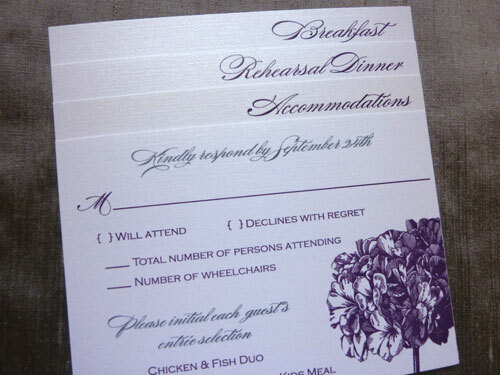 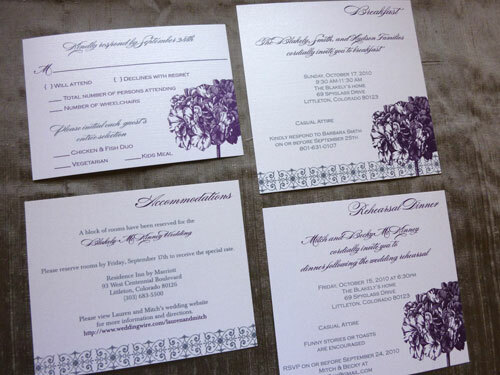 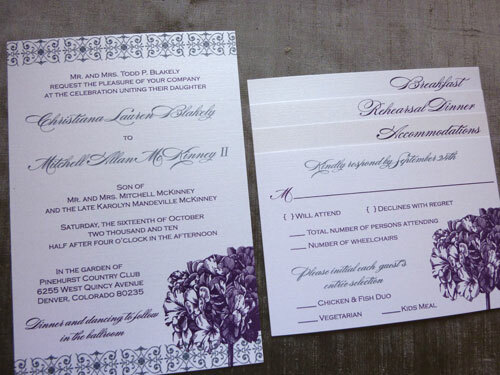 They chose thermography printing in a custom deep purple & gray.